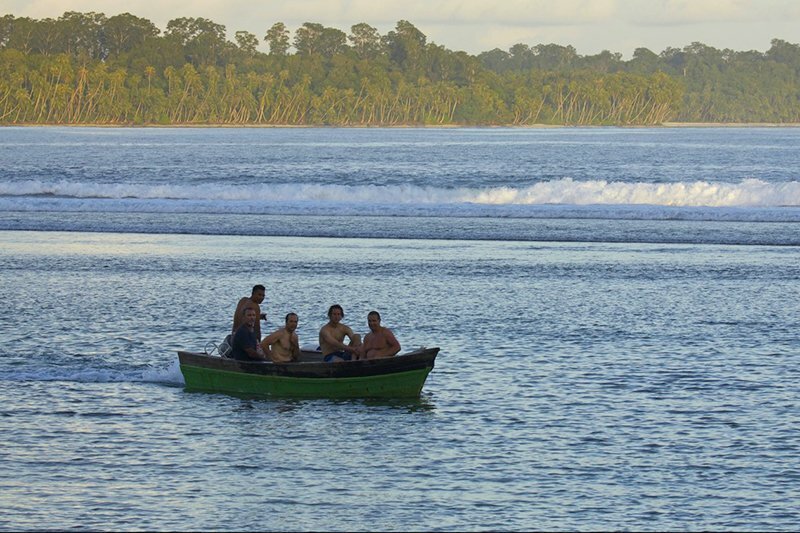 A bunch of UnZud fullas from Auckland made Telo Lodge home for the last ten days, and Max’s Right kept the action close to home by turning it on out front for a week. 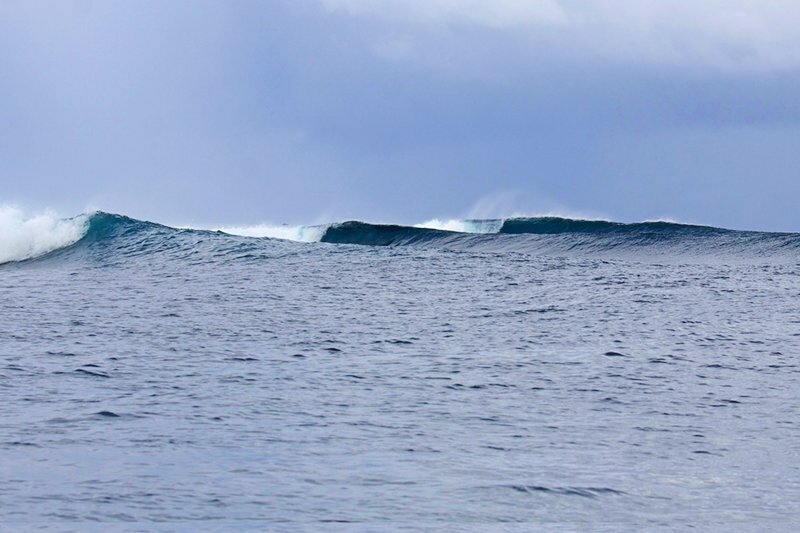 Expeditions to Kindies, The Left and a few other quiet breaks provided variety and saw us get the most out of the south swell, which slowed down for the last two days of the rotation. John and Ben. Tight-knit father and son. John loved exploring the area – genuinely curious about life on the equator, and Ben’s a super polite young fella. You could tell they just loved hanging out together, especially when that meant sharing the lineup out front. Antony was the silent assassin – frothing most sessions and always in the spot for the bombs. Nick and Adam – another father son combo. Nick was the mellow leader of the pack with the other guys following his lead, Adam really enjoyed sneaking out for solo sessions out the front. 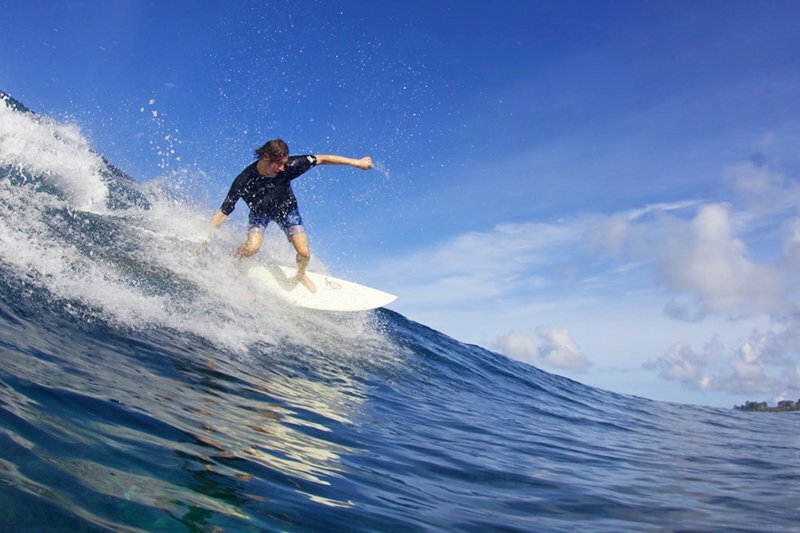 Rex – keen goofy footer who always opted to go left, heading around the corner whenever he got the chance. Craig. Originally from NZ, now in Maitland NSW. Craig came with his mate Kyle and both work the mines in Newy. 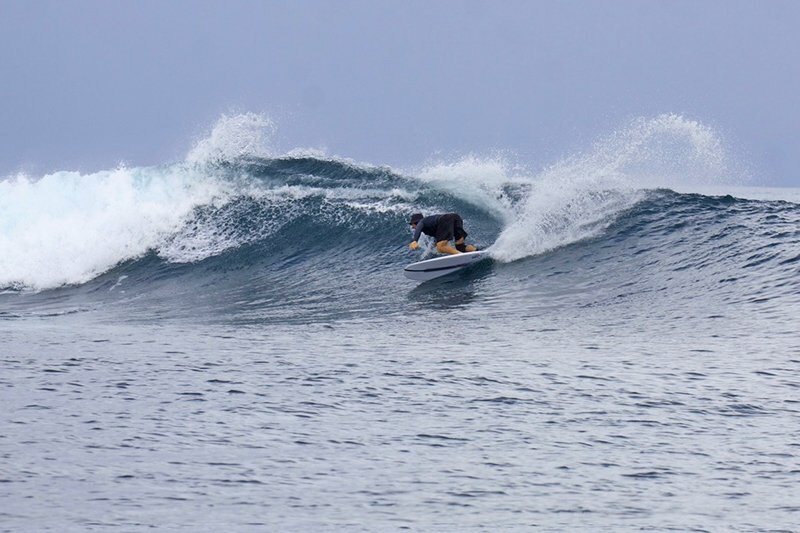 Craig was seriously ripping on his Ian Byrne channel-bottom specials and spent serious time in the water. Kyle was always just behind Craig each session, and as the sole Aussie on the trip, had the same winning record at darts and table tennis against his kiwi companions that the hapless Wallabies have against the mighty All-Blacks on the rugby field. Fun waves, good times, great bunch of humans. Cheers!